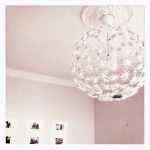 EGAH lamp (black star at bottom is made from the cover). New art in the background. 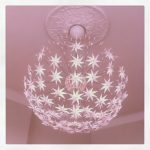 Placing the EGAH stars on a lamp. 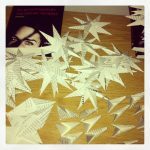 EGAH book being transformed to stars. 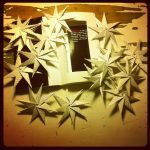 Hand folded stars, EGAH short story collection. 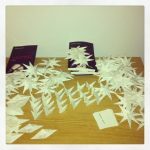 Hand folded stars made from pages of the EGAH short story collection.